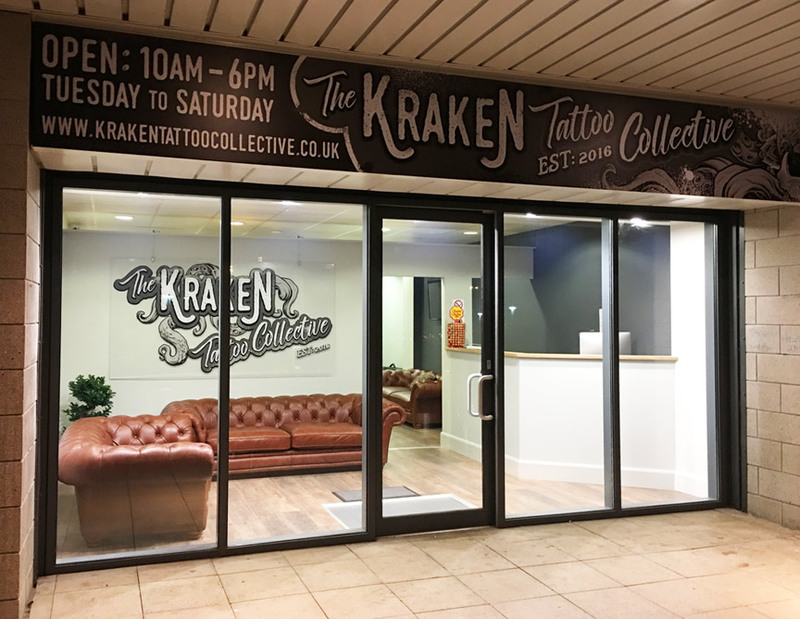 At The Kraken Tattoo Collective we operate a studio with a friendly and relaxed atmosphere. Kev, Nik, Shaun and Rash came together to create our studio after working together in the tattoo industry for several years. It is our philosophy and utmost belief that everybody is entitled to a great tattoo. Our helpful and friendly tattooist team and Lauryn our business manager are always happy to help you with any questions or queries you may have. From helping you with choosing a design to creating a custom design for you and everything between. We aim to offer all our customers help with each and every aspect of their tattooing experience. Featuring top tattoo artists you can rest assured that our studio offers a full Complement of experience and knowledge on all things ink and skin. Please feel free to view our award winning work in the gallery section. Thank you and we look forward to seeing you soon.